Andy finally managed to exorcise his demons against the World No.1 Djokovic, beating the Serb for the 1st time since the 2013 Wimbledon Final. Andy Murray survived three-hour war of attrition to topple Novak Djokovic for Montreal title on fifth match point. The Brit notched his 11th win over a World No. 1 on Sunday, stunning the Serbian 6-4, 4-6, 6-3 for the Rogers Cup title. Murray extended his win streak in ATP World Tour Masters 1000 matches to 11 straight, capturing his 11th title at the level and second of the year (Madrid). 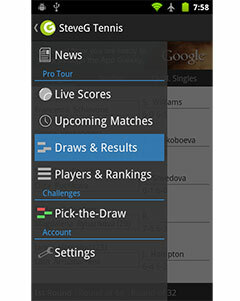 The latest player to secure his spot at the Barclays ATP World Tour Finals, he won tour-level crown No. 35 and his third at the Rogers Cup, following a pair of title runs in 2009-10. Amelie Mauresmo and Jonas Bjorkman’s charge moves to 48-0 when winning the first set this year. There was much at stake in Sunday’s clash, with three-time Rogers Cup champion Djokovic (2007, ’11-12) chasing a 25th Masters 1000 crown and 55th overall at the tour-level. The top-ranked Serb had won 12 consecutive Masters 1000 finals, since falling to Roger Federer in Cincinnati 2012. Djokovic was also in the midst of a 30-match win streak at the Masters 1000 level, including title runs in Paris 2014 and Indian Wells, Miami, Monte-Carlo and Rome this year.The Scot, who will return to World No. 2 in the Emirates ATP Rankings for the first time in two years, handed Djokovic just his fourth defeat this year and first in their ATP Head-to-Head rivalry since Wimbledon 2013 – ending an eight-match losing streak. Djokovic remains in front by a 19-9 overall margin. 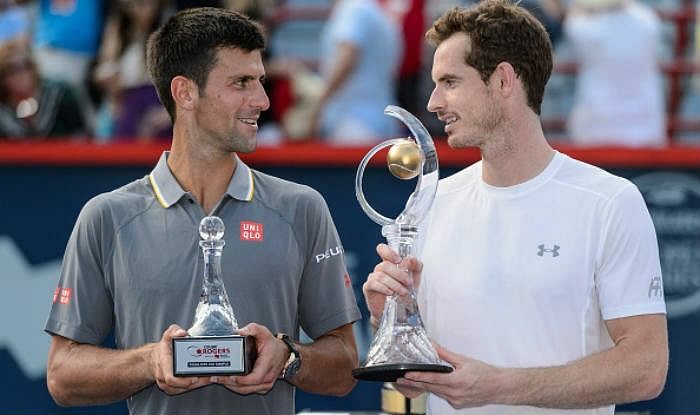 Murray takes home $685,200 and 1,000 Emirates ATP Rankings points, while Djokovic earns $336,000 and 600 points in defeat. Both players will next head to Cincinnati for the Western & Southern Open, as the Emirates US Open Series continues to heat up. Both players started strong, with Murray earning the first break opportunities following a brilliant half volley at 15/30 in the fourth game. Djokovic would do well to save five chances, but the second seed Murray finally broke through on No. 6 after 10 minutes, utilizing an aggressive game-plan in capturing more than double the baseline points won. He continued to pick up where he left off after yielding just three games to Kei Nishikori in Saturday’s semi-finals, consolidating for 4-1 in the first set. But Djokovic would strike back. Murray had a 15/40 glimpse on the Serb’s serve for a double break lead and failed to convert. Djokovic dug deep, grinding from the back of the court with his backhand and drawing a Murray error to break back in the seventh game. The clock struck one hour on the match at 4-4 and Murray would save a break point to halt the slide, holding for 5-4. With the set on the line, he turned in another strong return game to break Djokovic for the opener 6-4. Djokovic would respond swiftly, however, winning the first eight points of the second set to break immediately and consolidate for 2-0. Murray secured the break back for 3-3, rifling a cross-court return winner, but was unable to sustain the momentum as Djokovic broke once again to pull ahead 4-3. Murray looked to continue apply pressure on return, but the Belgrade native refused to concede the lead again, forcing a decider. Murray answered in kind in the third set, breaking in the second game and surging ahead 3-0. Djokovic entered the match with a streak of 24 consecutive deciding-set wins at the ATP World Tour Masters 1000 level and was poised to break back, but Murray held after a mesmerizing 15-minute, 10-deuce fifth game, saving six break points for 4-1. He would miss a trio of match points on Djokovic’s serve at 5-2, but would not disappoint a game later, saving two break points and sealing the win after exactly three hours. The loss ended an 8-match winning streak for Novak against the Scot overall (since Wimbledon 2013 Final) and also ended a 10-match winning streak on hard for the Serb (since losing the 2012 US Open Final). Overall Novak’s head-to-head against Andy: 19-9 (overall); Hard: 16-7; Clay: 3-0; Grass: 0-2. Andy’s win over Novak was his 1st win against the World No.1 in a decider set (“best of 3 sets”); having lost the last 5 matches when a decider was played. Novak is 11-5 in Masters Events against the British No.1; but trails the Scot 3-4 in finals (Andy had won the first 3 finals before losing the next 3). Novak was contesting a career-best ninth straight ATP World Tour final dating back to this year’s Australian Open and riding a 12-match winning streak in ATP Masters 1000 finals since falling to Roger Federer in the Cincinnati decider in 2012. It was No.1 vs No.2 seed in the Canada Masters Final for the 1st time since 2004 (2004 Toronto: (1) Federer d. (2) Roddick) & 1st time in Montreal since 1995 (1995 Montreal: (1) Agassi d. (2) Sampras). The Big 4 have won 11 of the last 12 Canada Masters Titles (only exception – Jo Wilfried Tsonga 2014). Andy Murray has now won 11 Masters Titles (9 Hard, 1 Indoor Hard, 1 Clay; 11-4 in Masters Finals); tied with Pete Sampras for the 10th Rafa leads the way with 27 Masters Crowns. Djokovic is 52-4 this year (6-3 in finals); Murray is 53-8 this season (4-2 in finals). They have combined to win all the 6 Masters Events this year (Djokovic – Indian Wells, Miami, Monte Carlo, and Rome) & (Murray – Madrid, Montreal). Novak and Andy are the only players to have qualified for the season-ending World Tour Finals (played at the O2 Arena). Shyam Sundar is a passionate and ardent writer about Tennis. He is a Tennis Freak and can spend months discussing the sport. He claims to be the biggest Federer Fan and doesn't miss any of the Swiss Maestro's on-court Wizardry.